Due to limited ticket numbers and high demand, a ballot was operated across all performances of When We Have Sufficiently Tortured Each Other instead of a general sale. We have endeavoured to make access to tickets as fair as possible to both our members and the public. When can I enter the ballot? How will I know when I’ve been entered into the ballot? When will I know if I am successful in the ballot? Anyone who was successful in the ballot – either an NT Member or a member of the public – was sent an email by 6pm on Friday 30 November 2018. If I’m successful in the ballot, does that mean I’m guaranteed a ticket? No. If you are successful in the ballot you will have the chance to buy tickets during one of the designated 24-hr booking periods. You are not guaranteed a ticket and we cannot guarantee availability of specific dates or ticket price types. If I’m successful in the ballot, when can I purchase my tickets? The ballot has now been drawn. How many tickets can I book for the show? A maximum of two tickets per customer can be purchased. If you choose to have your tickets posted, they will be sent out 10 days prior to the performance. 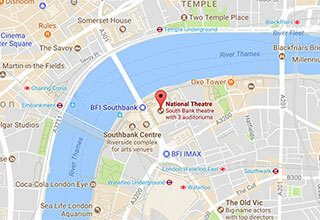 Otherwise, you can collect your tickets from the National Theatre Box Office on the day of the performance. PLEASE NOTE: Tickets are non-transferrable and you will need to present the card the tickets were purchased on, as well as photo ID when attending. There will not be any Friday Rush tickets for this production, however there will be an increased number of Day Tickets. On the day of the performance, a limited number of cheap Day Tickets are available in person at 9.30am from the ground floor box office. Entry Pass tickets will go on sale in January 2019, via a ballot. Entry Pass members are also welcome to enter the Public ballot for standard priced tickets in November if they so choose. The Entry Pass ballot will open at 12 noon on Fri 4 Jan and close at 12 noon on Wed 9 Jan. Winners will be contacted by 6pm on Thu 10 Jan and booking will be open from 4pm on Fri 11 Jan until 4pm on Sat 12 Jan.
Click to view the full terms and conditions of the Entry Pass Ballot. There will not be an American Express Cardmember presale for this production. Cardmembers who wish to see the production should enter into the Public ballot from 22 - 29 November. NT Access list subscribers will be able to purchase Access-priced tickets as usual if they are successful in the ballot. Captioned and audio-described performances will go on sale in January 2019 and NT Access list members will be contacted with details on how to book for these performances. This production contains adult themes and violent scenes of a sexual nature. We do not recommend it for those under 16. If you require further information, contact details are provided in our Help centre. All tickets must be purchased directly from the National Theatre and we reserve the right to refuse admission to customers with tickets purchased on re-sale websites. Please note the credit or debit card that you used to purchase your ticket will be required as proof of purchase when you get to the theatre. To return tickets, please contact the Box Office here or by calling 020 7452 3000. Food and drink can be found in restaurants, cafés and bars throughout the building. Find out more on our Food & Drink pages.